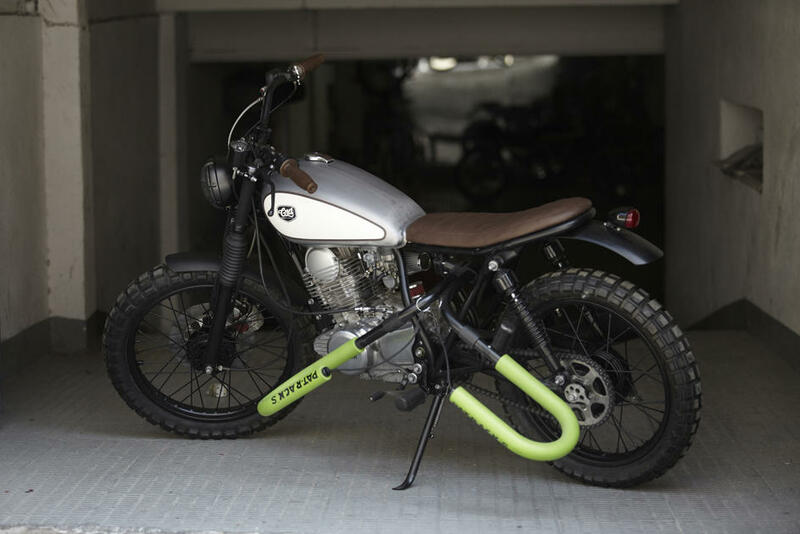 Iñigo, from San Sebastián, gets in touch with us attracted by the world of customized motorcycles of which he wants to be a part. 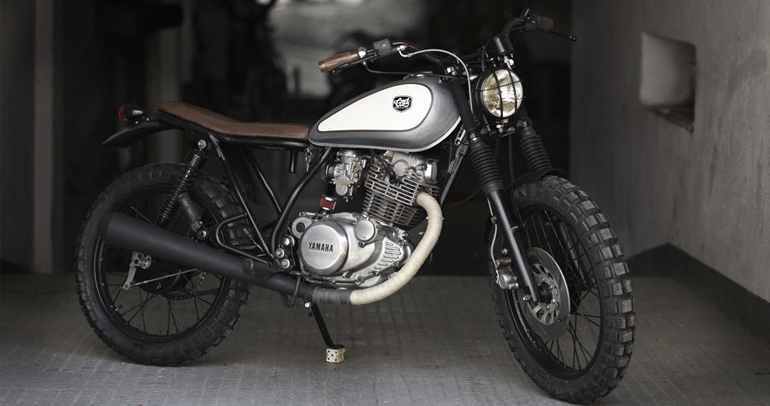 To do this, he chose to make a Yamaha SR 250. So CRD16 Cafe Racer will be the third one under our belt. He wanted a comfortable bike, nice, manageable … But above all, one in which he could carry his inseparable surfboard. And so we did. Undoubtedly, a very special motorcycle for Cafe Racer Dreams as looking for a new painter to overcome the pickling work done in ‘Silver eyes’, we met with Efra. We wanted a deposit in matt pickling with cream tears with a thin outline, looking for the metal to appear in almost pure, matte and sanded to be the perfect counterpoint for cream painting. As we were not happy with the result after doing the work with our usual paint shop since the painting technique was more complex than what has been done so far and turning it around, fate knocked on our door and we met Efra that before our ‘problem ‘with the deposit replied:’ give it to me that I can do it without any problem ‘. It also has a lithium battery hidden under the rocker, contact key installed in subchasis with clausor to start it as a car, simplified electrical system, decreased travel of the fork and port to carry surfboards or a skate ! !